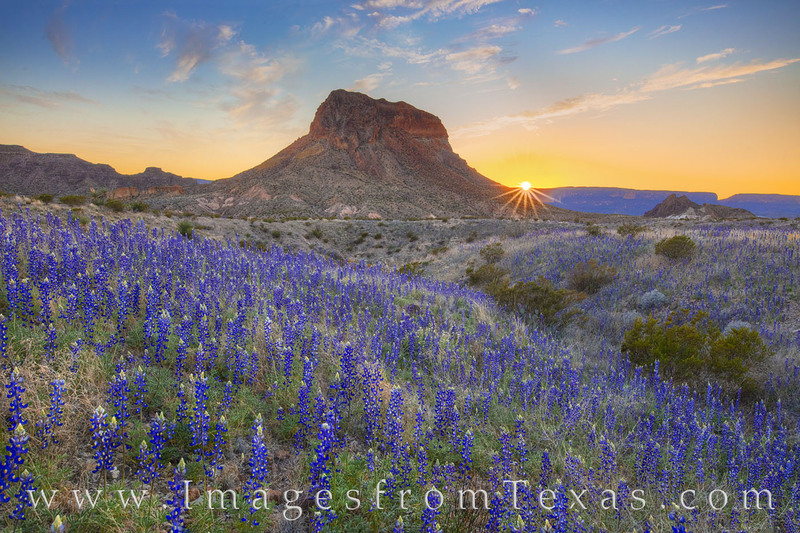 On a warm February evening in Big Bend National Park, a wash of bluebonnets sits in the shadow of Cerro Castellan. In the distance, the sun sets behind the distant mountains, and to the far right, the opening of Santa Elena Canyon can be seen in the orange glow of the evening’s last light. Photo © copyright by Rob Greebon.